In his younger years, Nelson was known for bad relationship habits. With three divorces under his belt, the country icon has admitted to cheating several times, but has claimed to have learned a thing or two from his failed relationships and marriages. He joked, “You know why divorces are so expensive? They’re worth it.” The question still remains, however, of whether or not the lessons which he claims to have learned over his lifetime will be enough to make his current marriage to Annie last. A mean nickname like Booger Red would probably discourage most children from ever performing in public again. 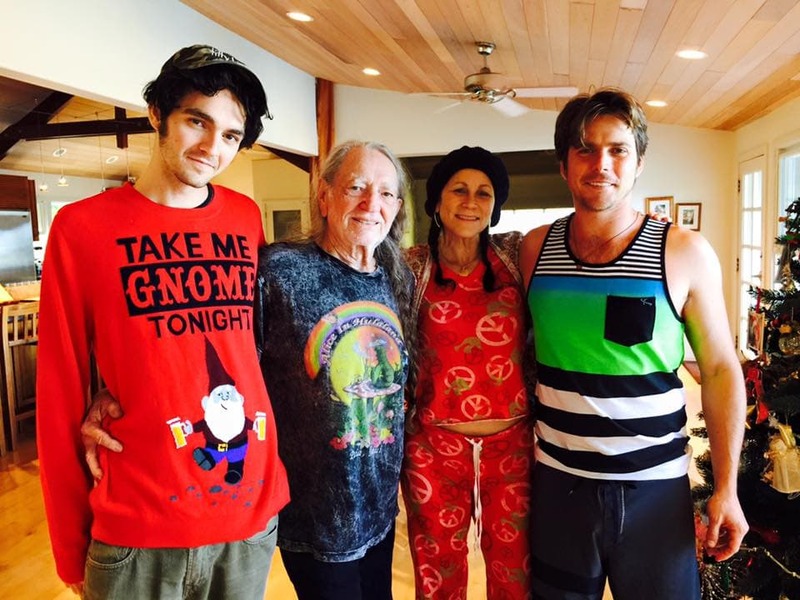 Willie Nelson was evidently not like most children. 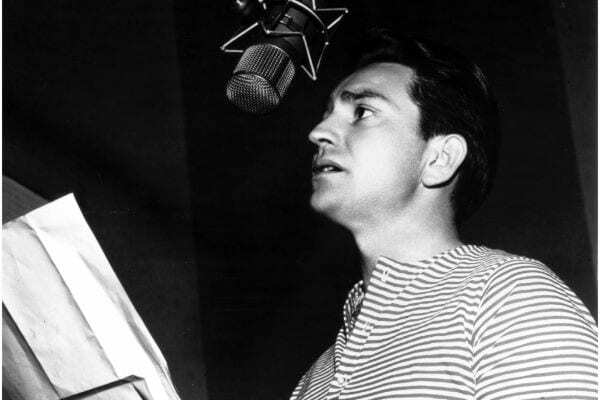 Nelson found his passion for music following the death of his beloved grandfather, Daddy Nelson. 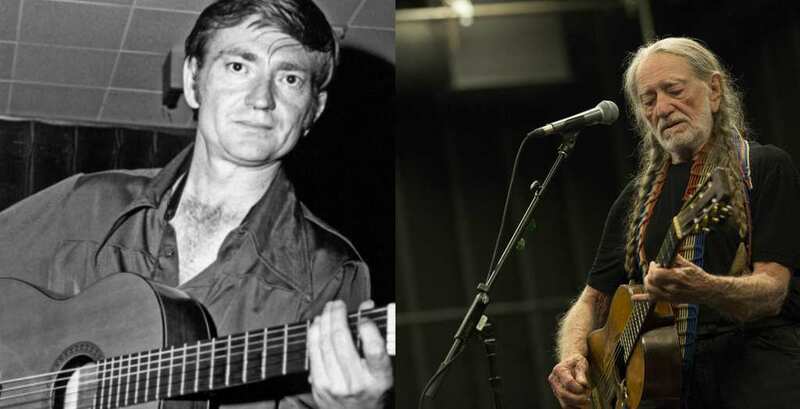 Just before Daddy passed away from sudden pneumonia in 1939, he bought young Willie a Stella guitar and opened the future country icon’s eyes to the beauty of music. Willie was in mourning, but his late grandfather’s gift became his coping mechanism. At 18 years old, Nelson was drafted into the Air Force. He trained for nine months before being medically discharged as the result of a back injury. Nelson returned home to Waco, Texas, where he soon met his first love at a drive-in burger joint. 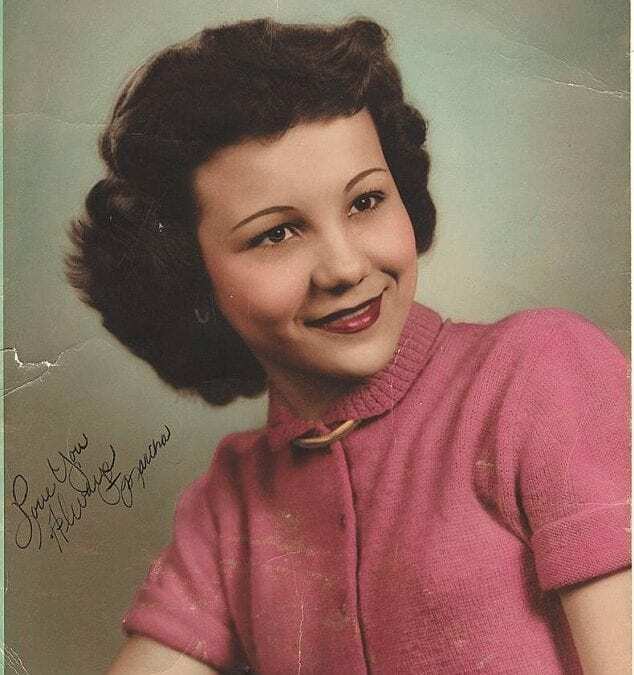 She was a sixteen-year-old carhop waitress named Martha Jewel Matthews. When Nelson spotted her, he couldn’t take his eyes off the dark-haired, olive-skinned beauty dressed in a halter top and shorts. Nelson was absolutely infatuated. 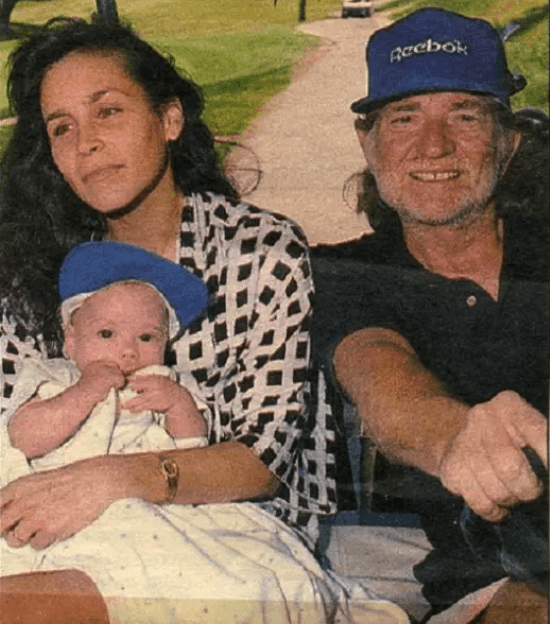 Looking back, Willie Nelson described his romance with Martha Jewel Matthews by saying, “It was love – my first full blast of love, the kind of love where you lose your mind and let your heart lead the way.” When the couple got married, Matthews was 16 and Nelson was 19. Trouble came almost as fast as things heated up between the young lovebirds and by the time Martha gave birth to their first child, she was suspicious that Nelson had been cheating. 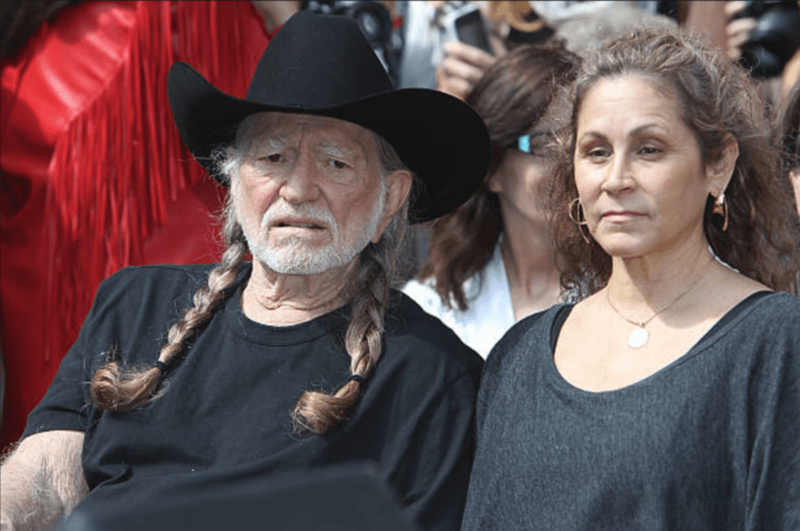 Willie Nelson’s hot and heavy marriage to Martha Matthews soon became characterized by lying, infidelity, and even violence. 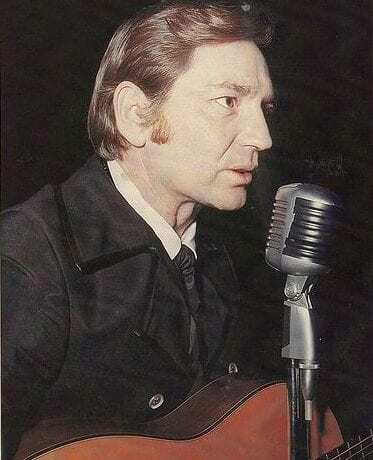 Years later, Nelson confided that, “While I was asleep, she tied me up in ropes and beat me with a broom.” He also claimed that Matthews once bit his index finger “down to the bone.” As Nelson struggled to gain traction in the music industry and launch his singing career, his first marriage came to an end after 10 years in 1962. 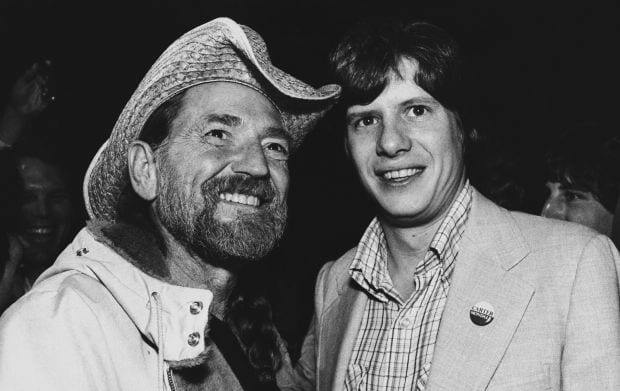 To say Willie Nelson was a wild child in his youth would be a gross understatement. In one of Nelson’s many crazy stories, he admits to consuming his favorite herbal substance on the roof of the White House, which was occupied by the Jimmy Carter administration at the time. 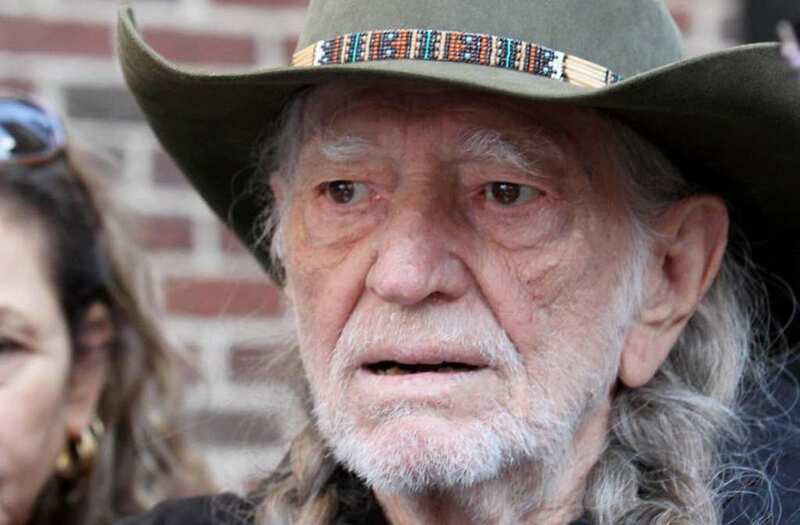 Another one of Nelson’s bizarre tales involves a $50 million lawsuit from a woman who accused the country singer of promising to marry her following nine consecutive hours of romantic activity. Following his divorce from Martha Matthews, Nelson quickly found himself moving on to a new relationship with Shirley Colley, a fellow singer and former wife of one of Nelson’s deejay friends. Colley and Nelson soon got married and just when it seemed that Nelson had finally found his happily ever after, Colley discovered a hospital bill addressed to Willie for the birth of another woman’s baby girl. 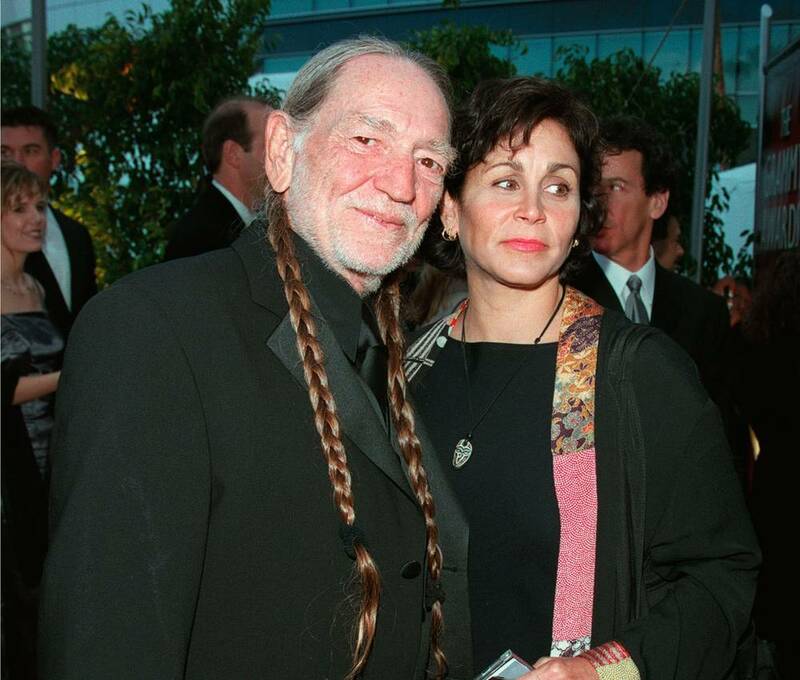 Shirley was out the door before Willie even attempted to explain himself or apologize. 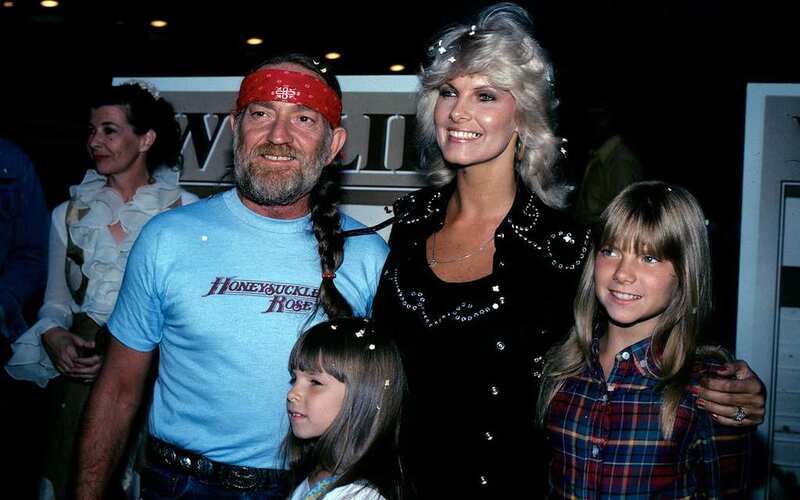 It turned out that while Willie was married to Shirley Collie, he was also involved in a relationship on the road with a woman named Connie Koepke. After Collie left and filed for divorce, Koepke and baby Paula moved in with Nelson. By 1971, Nelson’s divorce with Collie was finalized and he was free to marry Koepke. After about 15 years of marriage, another new woman entered Nelson’s life and this would ultimately lead to his third divorce in 1988. 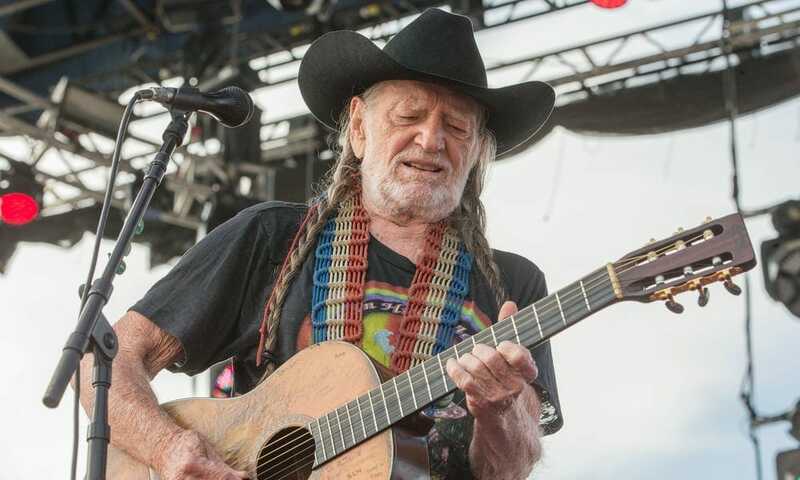 Despite Willie Nelson’s turbulent personal life, his status as a country music icon has remained unchanged. 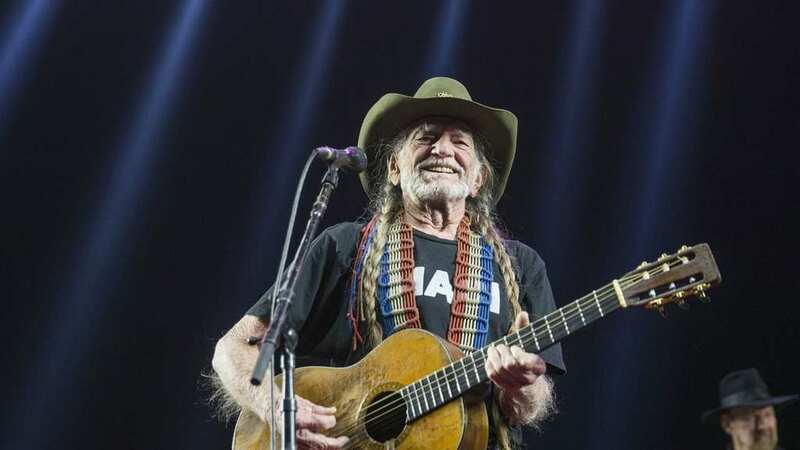 His unique brand of ‘outlaw country’ music, as well as his contributions to life outside music has earned the singer a long list of well-deserved awards and honors including his induction into the Country Music Hall of Fame. He has also won the Gershwin Prize, been inducted into the Agricultural Hall of Fame, and received an honorary doctorate from the Berklee College of Music. 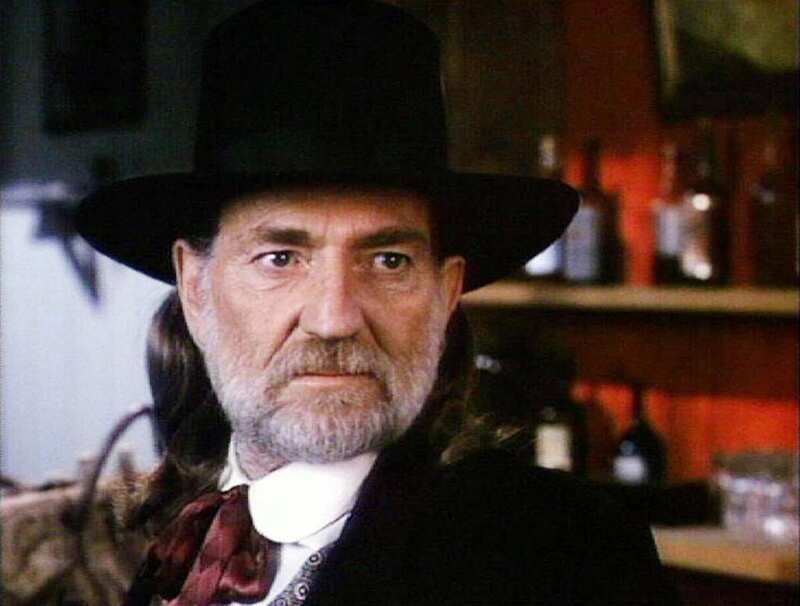 While filming Stagecoach, Willie Nelson got a bit more than he bargained for. On set, Nelson met a makeup artist by the name of Ann Marie D’Angelo (also known as ‘Annie’). Both Annie and Willie felt a strong chemistry and sense of attraction almost immediately and soon enough, Nelson found himself falling head over heels in love all over again. This time, however, he was determined to not make the same mistakes he had made in previous marriages and relationships. 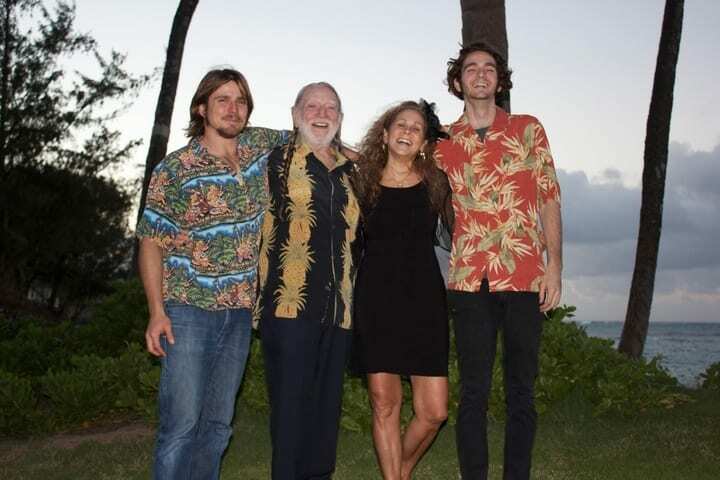 Willie and Annie have two sons together, Lukas Autry Nelson and Jacob Micah Nelson. Both sons have chosen to follow in their father’s footsteps and pursue a career in music. Lukas currently sings and plays guitar for his California rock band, Lukas Nelson & Promise of the Real, while Jacob, a bit more artistic and experimental with his musical endeavors, has spent time touring with Neil Young and is involved in music projects such as the psych-punk-orchestra Insects vs. Robots. 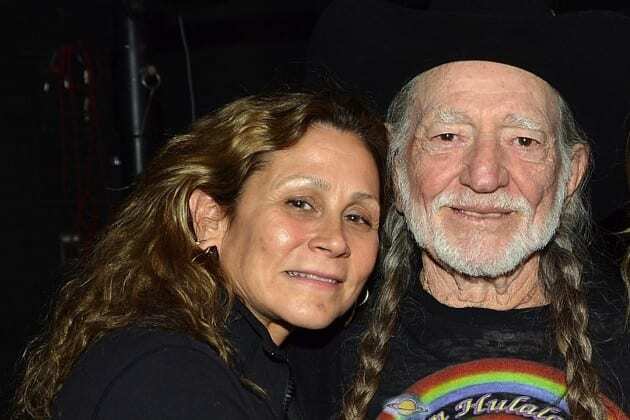 From his three marriages which ended in divorce, Willie Nelson has fathered five children- Billy, Susie, and Lana Nelson from his marriage to Martha Matthews, in addition to Paula and Amy Lee Nelson from his marriage to Connie Koepke. 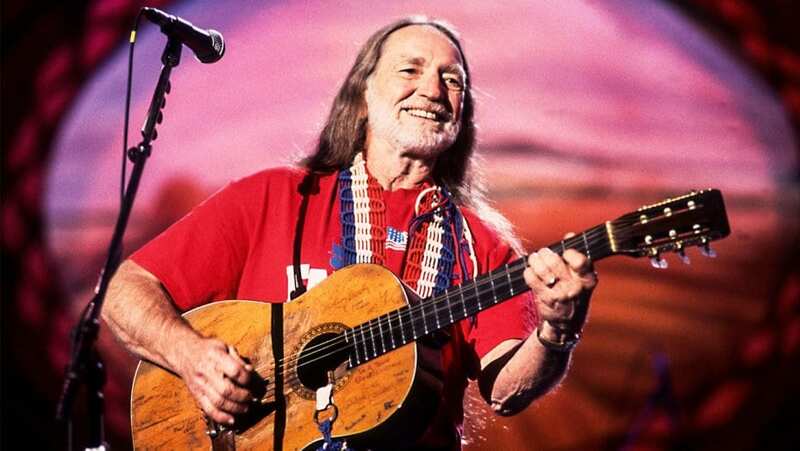 While Willie was touring as a musician for most of his kids’ childhood, he did his best to always make time for family, whether it was on a tour bus or in his home, and instill wholesome values in all of his kids. 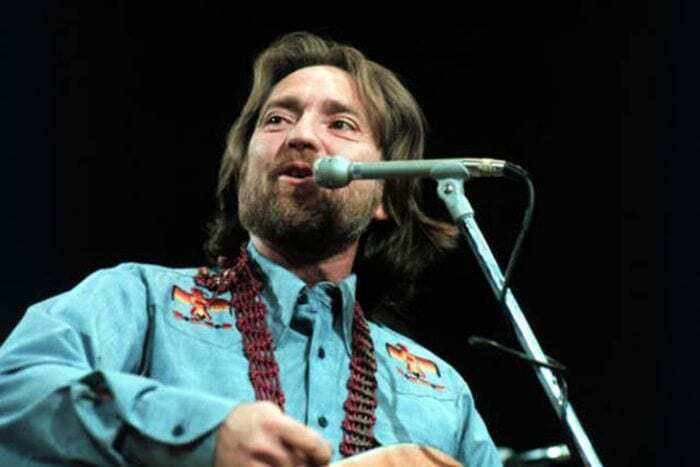 Just before Christmas in 1991, 2 years after the death of Martha Matthews, Willie’s first son, Billy Nelson committed suicide in his Tennessee home. 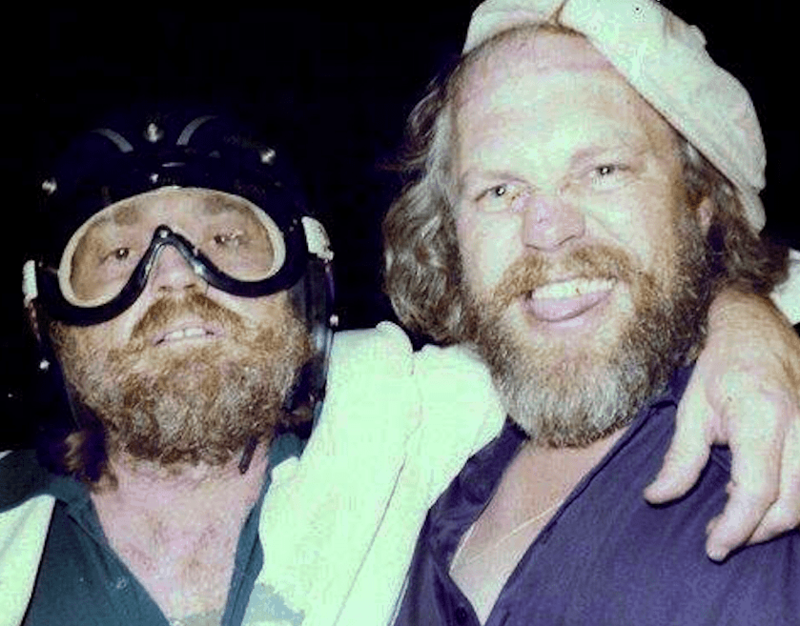 Billy was 33-years-old and his tragic death left Willie shocked and devastated. 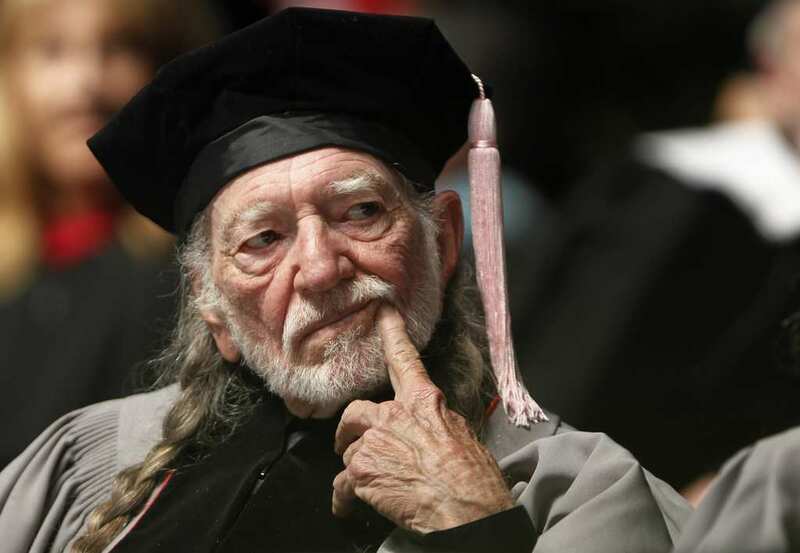 Willie Nelson later recalled the moment he heard the sad news. “I’ve never experienced anything so devastating in my life,” Nelson said. It was one of the darkest periods in Nelson’s entire life, but luckily Annie was there to mourn with him and offer comfort. 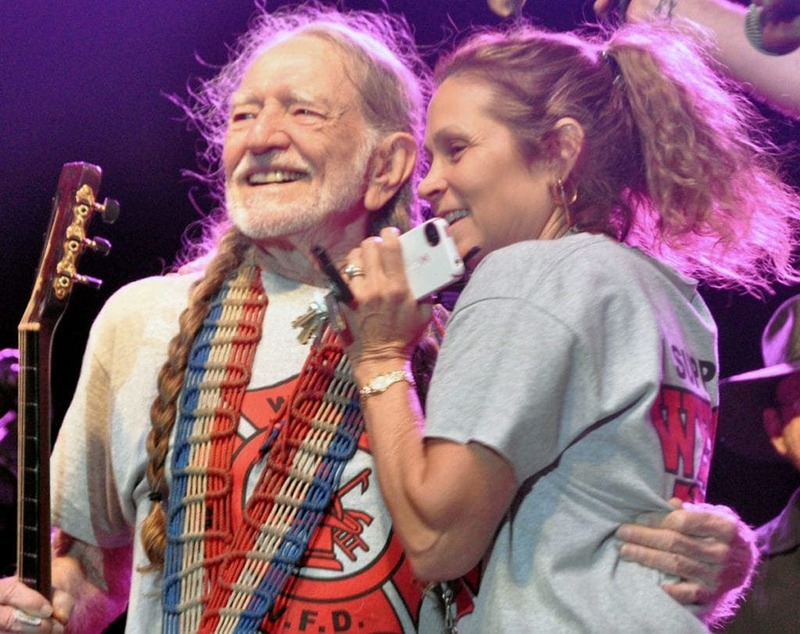 Willie Nelson’s marriage to Annie D’Angelo has changed the famous country singer’s life in countless ways. At 84 years old, Nelson has seen his fair share of medical problems, including a few life-threatening scares. D’Angelo wants to make sure the love of her life will be around for many years to come, so she’s always encouraging him to eat healthily and engage in physical activities like biking and swimming. 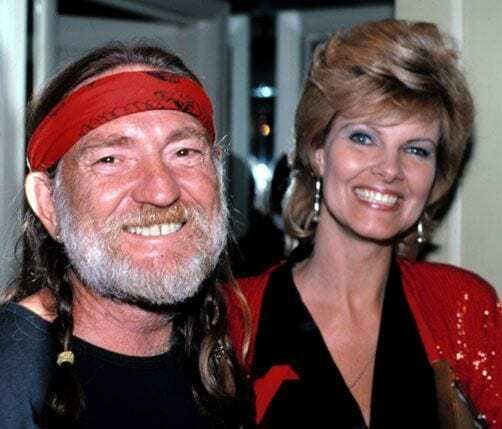 She has even convinced Willie to cut back on his bacon consumption! 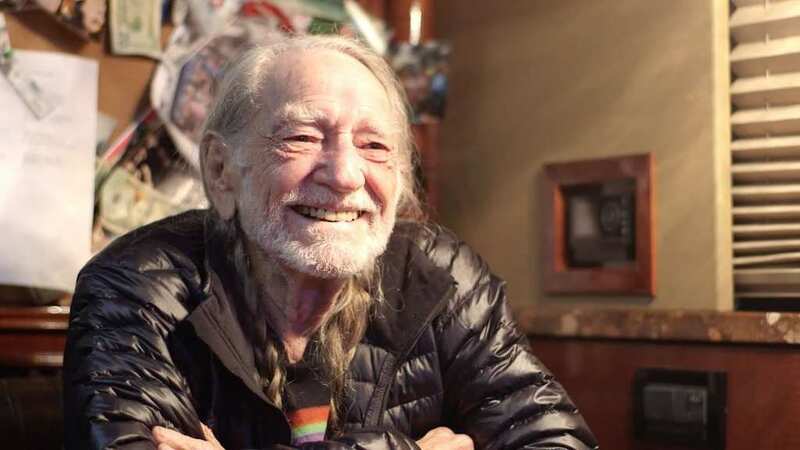 In early 2018, it was announced that Willie Nelson had raised about $12 million to expand his latest business venture, Willie’s Reserve. Nelson’s company was founded in 2015 and aims to deliver Nelson’s herbal remedy of choice to customers located in states which have legalized the product. 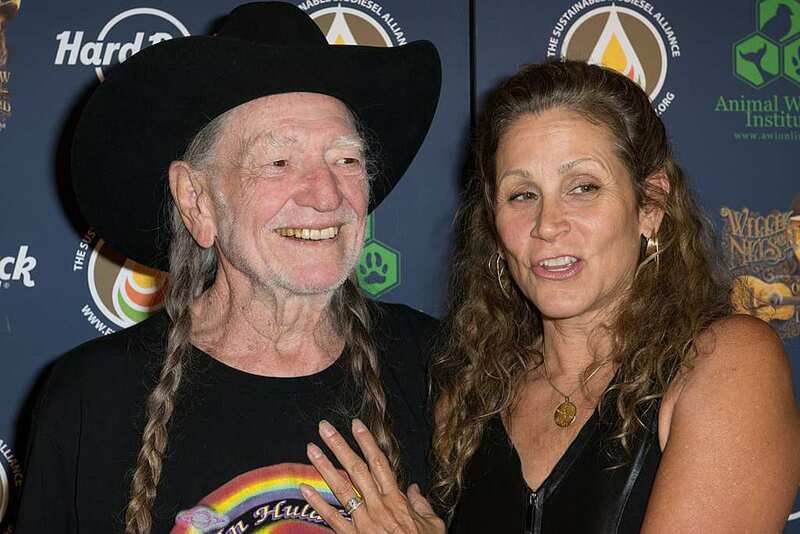 Recently, Annie decided to become business partners with her husband, launching Annie’s Edibles, a branch of Willie’s Reserves which specializes in tasty chocolate treats infused with only the finest of natural herbal medicine. 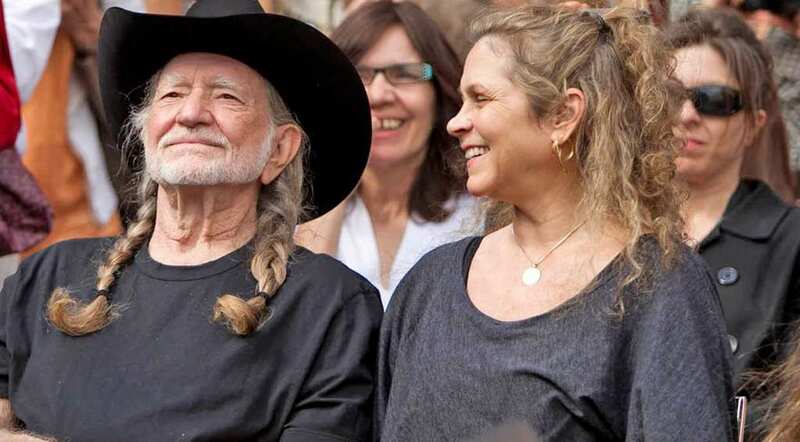 Together with his wife Annie, Willie Nelson is involved in all sorts of activism, social justice, and conservation efforts. In 2017, Nelson and his family were vocal in their support of the protests against the Dakota Access Pipeline at Standing Rock. They were even so generous that then donated enough money to build a shelter for the Water Protectors. In addition, Nelson and D’Angelo are strong supporters of animal rights, environmental activism, local farms, as well as the Occupy Wall Street movement. 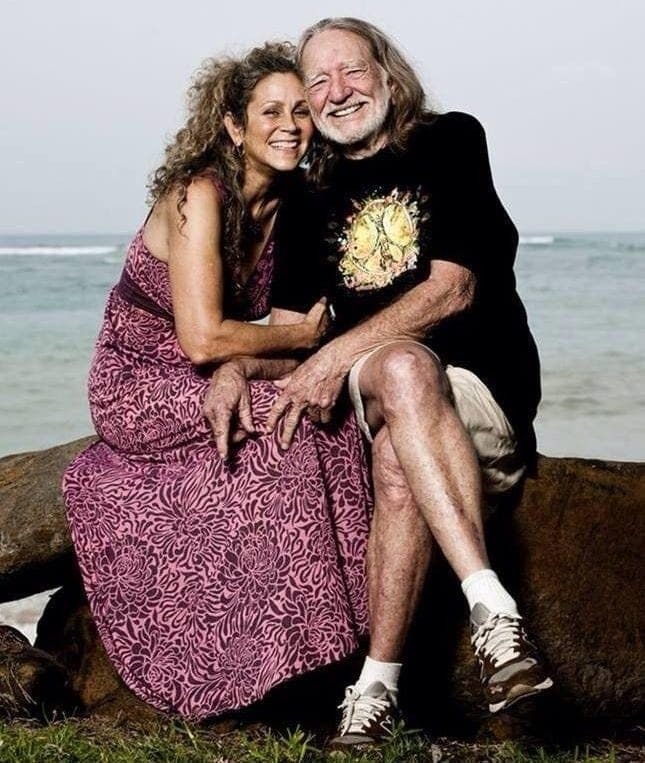 Willie Nelson and Annie D’Angelo now live together in their beautiful island home located in Maui, Hawaii. They actually live very close to Kris Kristofferson, another singer/songwriter of the Outlaw country movement and a longtime friend of Nelson. The homes of Nelson and D’Angelo, as well as that of Kristofferson, are part of a large, self-sustaining community. 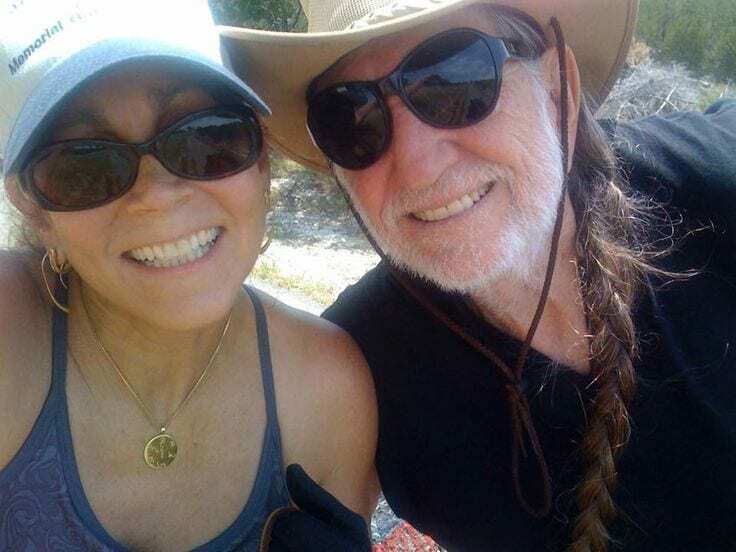 When they aren’t enjoying their simple and cozy lifestyle in Hawaii, Nelson and D’Angelo enjoy their frequent visits to their ranch in Texas. Nelson has never been shy when it comes to admitting his wrongdoings, especially when it comes to his history of infidelity. 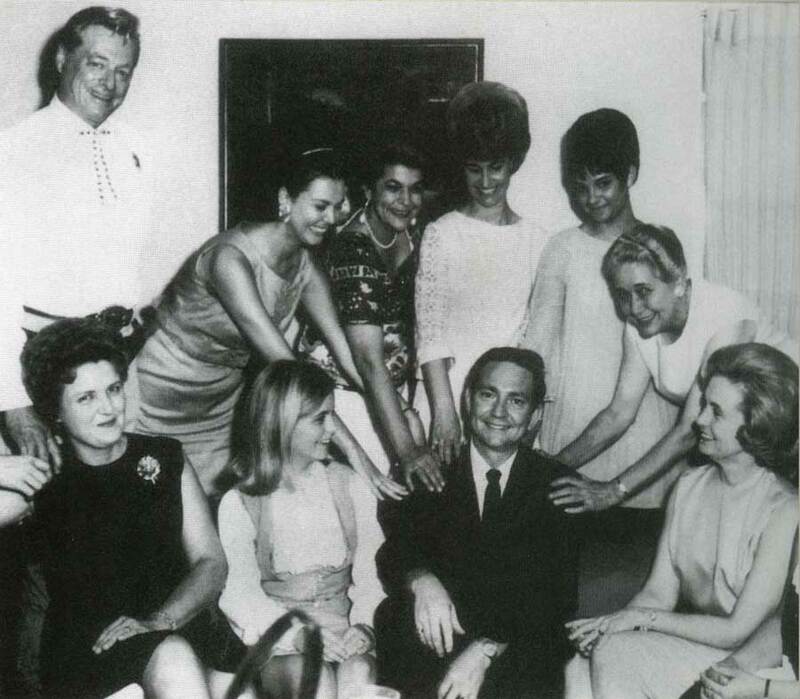 In his song, “Wives and Girlfriends,” Nelson sings, “Well, I love my wives and I love my girlfriends. May they never meet, May they never know each other when they pass on the street.” Considering that Nelson first met Annie while he was still married to Connie Koepke, it would be understandable for Annie to have her doubts about his faithfulness. Nelson recently made a monumental discovery. “I have an old, dear friend, Mary Haney,” Nelson explained. “Turns out Mary and I had a child together called Renee. It also turns out Renee has a daughter, Noelle, who has a daughter, Jordan.” Nelson is now trying to make up for lost time with his newly-discovered family and admits that his only regret is not knowing them sooner. Thankfully, Annie has also embraced Renee, Noelle, and Jordan as members of their big happy family!